"And the moment we speak up, we're scolded that we are not old enough. It's as if we need permission to ask our friends not to die. Lawmakers and politicians will scream guns are not the issue. 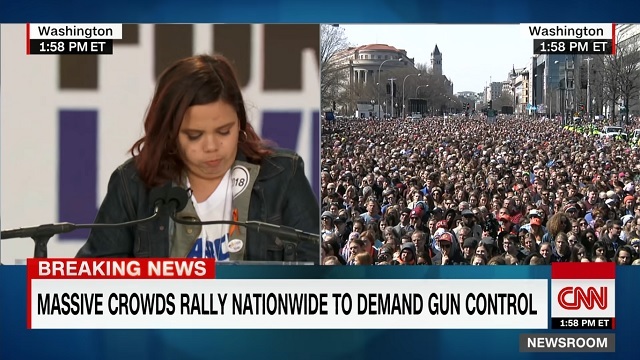 But can't look me in the eye," Sam Fuentes said Saturday at the March For Our Lives rally before vomiting. After a long break, she came back on stage to say, "I just threw up on international television and it feels great!" That's a solid description of every speaker at the event. If you won't burn the Constitution and give up your guns you want children to die.